Think twice before you post to social media. 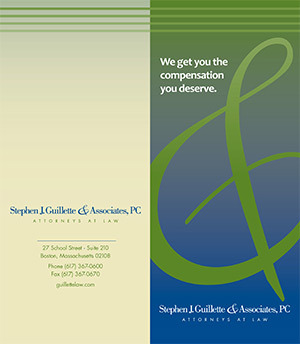 – Stephen Guillette & Associates P.C. Home/Attorney/Think twice before you post to social media. Before you post on Facebook or update your Instagram status, be aware that courts across the country have held that you have no “reasonable expectation of privacy” in your on line media profiles. Even when you decide to limit who can see your photos or read your status updates, that information still may be discoverable if you’ve posted a picture or updated a status that is relevant to a lawsuit in which you’re involved. The issue, then, is whether the party seeking access to your social media profile has a legitimate basis for doing so. If you’ve updated your Facebook status to brag about your awesome new workout routine after claiming serious and permanent physical injuries sustained in a car accident—yes, that information is relevant to a lawsuit arising from that accident and will be discoverable. The plaintiff in Largent v. Reed learned that lesson the hard way when she did just that and the court ordered her to turn over her Facebook log-in information to the defense counsel. On the other hand, your Facebook profile will not be discoverable simply because your adversary decides he or she wants to go on a fishing expedition through the last eight years of your digital life. Courts in many jurisdictions have applied the same standard to decide whether a litigant’s Facebook posts will be discoverable: The party seeking your posts must show that the requested information may reasonably lead to the discovery of admissible evidence. The takeaway is that courts treat social media data no differently than any other type of electronically stored information; what you share with friends online may also be something you share with your adversary—and even the court. Collision Coverage. What does it cover?